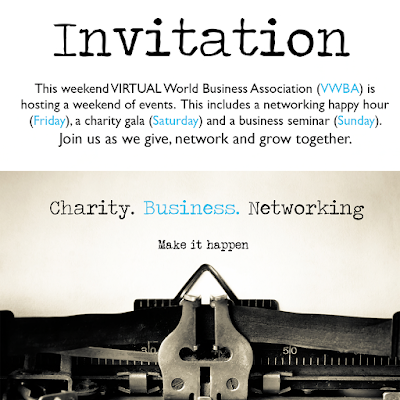 This weekend VIRTUAL World Business Association (VWBA) is hosting a weekend of events. 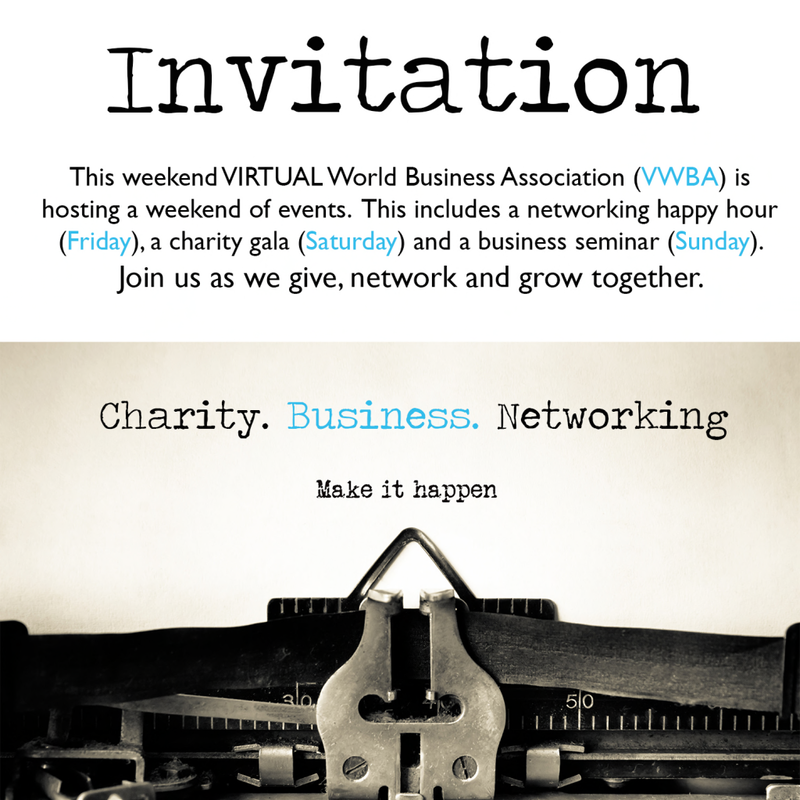 This includes a networking happy hour (Friday), a charity gala (Saturday) and a business seminar (Sunday). Join us as we give, network and grow together. For the 3rd year in a row, VIRTUALVillage Media and The Delicious Foundation partnered with to support the NO KID HUNGRY® Campaign. We kicked off the fundraising our month long charity drive on the 1st and runs through the 30th. As a thank you to our donors and sponsors we are hosting a reception dinner. This is yet another chance to give and help change lives. No child should ever go hungry & we want to help make that happen, Join Us! Kamille Kamala of the Lyrical Cafe at the VIRTUALVillage Media | Virtual HQ Presentation Space. Kamille will be sharing her success story, and how she has developed the Lyrical Cafe to what it is today. Our International Business Seminar offers an up close and personal look into the journey of successful business and industry leaders, paving the way in our virtual worlds. Cocktails and Entertainment provided. All happening at the VIRTUALVillage Business and Conference Center.